Maryland Border Collie Rescue View other Border Collies for adoption. 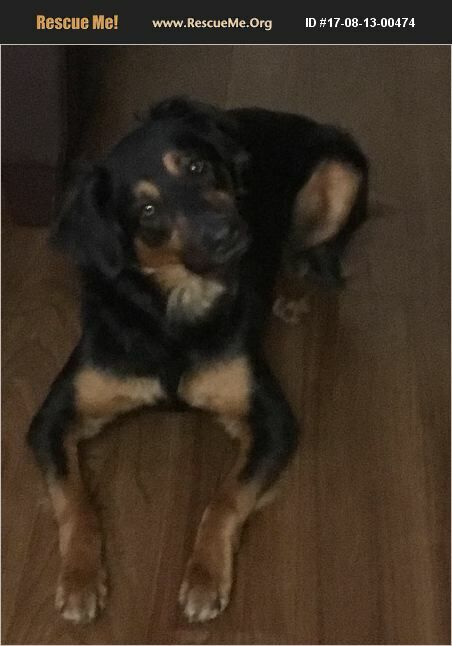 High energy happy fun 2 yr 8 Mos old dog that loves to run and play fetch . He gets constipated if he doesn't run daily. Needs a 6 or 9 foot fenced in yard. He is too smart for his own good and can open doors and can jump 6-7 feet high and possibly open crates so I have used zip ties and recently dog leash snaps as they are quicker and resusable. He loves everyone and loves other dogs but wants to play so much that he doesn't understand when the other dog is tired or doesn't want to play with him. He humps other dogs and I'm not sure if he would defend himself or understand if a dog was attacking him. Therefore he needs a safe loving home with a 9 foot secured wooden fenced in yard and be an indoor dog and have people possibly other sum issue pets to play with. He is housebroken and doesn't chew anything but his own toys. He does jump counters if he sees his toy up there. Although I've been trying to rid him of that bad habit. He's a happy very loving dog and needs a happy family with a house and a large 9 foot fenced in back yard (where he can't escape) he used to dig holes when he was under a year old - not sure if he still would. He knows sit, lay down, stay (briefly), speak, roll over, backup, (go to your) crate, now. , he catches treats in his mouth. He likes watching tv, loves large dingo dental sticks and rawhides and deer antlers. I love him very much but I have no yard and he needs to run a lot daily and I can't offer that for him. I want him to have a loving and active family that plays and runs with him.